According to the British Pain Society, 10 million of us suffer pain on a daily basis that affects our quality of life and leads to time off work. Muscular tension is on the rise in all of us. For shoulder and neck pain, massage therapy has been shown to increase levels of your body’s natural painkillers – endorphins and serotonin – which help to reduce stress hormone levels. If your jaw is tense, it’s often because you’re clenching, r grinding, your teeth overnight, which can lead to headaches. PEMF (Pulsed Electro Magnetic Field) therapy uses a very low frequency to apply magnetic fields to cells in the body, improving the way they function. Research shows that PEMF therapy contributes to natural pain relief as it works at a deep level. It’s suitable for continued use because it uses such low intensity and frequency, creating a cumulative effect. Breathing techniques can help calm your nervous system and reduce muscular tension. One key principle is to prolong your out breath. In 1 minute, you should be aiming for 8 breaths. Research has shown that yoga, can be effective in addressing chronic pain including osteoarthritis, carpal tunnel syndrome and fibromyalgia. Joint pain, muscle stiffness and overall physical discomfort can all be improved practising yoga. A recent review from NICE (National Institute for Health and Care Excellence) concluded that exercise and psychological therapy were the only effective treatments for lower back pain. In a recent study on back pain, only 1 in 6 patients treated with over-the-counter anti-inflammatories received any pain relief that they would not have got from a placebo. According to a 2015 study, back pain has overtaken heart disease as the biggest cause of years spent in ill health in Britain. A massive 4 out of 5 of us complain of disturbed sleep. In numerous studies, if people are kept awake all night, results show that they feel pain more easily. Good sleep can function like low-level pain medication. Aim for 7 to 9 hrs sleep a night, however, the exact amount with vary from person to person. Cherries gain their lovely deep red colour from anthocyanin – a type of flavonoid which is a powerful antioxidant. Anthocyanin has anti-inflammatory properties similar to those found in aspirin. Containing curcumin, known for its potent anti-inflammatory properties, studies have linked turmeric to reduced inflammation in a number of conditions, including psoriasis (a skin condition that causes red, flaky, crusty patches of skin covered with silvery scales). Curcumin has also been shown to help fight the inflammation in the body that contributes to the growth of cancer tumours. Rich in omega-3 fatty acids, salmon is high in protein and antioxidants. The fatty acids can help to lubricate tight joints in the body and control the overproduction of pain-stimulating prostaglandins in the lining of the womb. So it’s a great fish to eat to alleviate uncomfortable periods. A great source of polyphenols, which help to reduce inflammation-causing free radicals in the body. PS: I’d love to know what you thought of the tips, a good tip to look at would be especially breathing out. Furthermore, want a few more anti-inflammatory tips then click here. Hit me up in the comment section or alternatively drop me a message. I answer every email, just ask. PPS: Found this helpful? 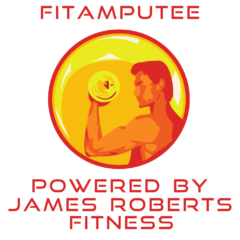 It would mean the world to me if you joined the Fit Amputee powered by James Roberts Fitness community. Because if you don’t, how are you going to get through all the bull… Simply sign up below. Not forgetting to comply with the European Union implementing the new General Data Protection Regulation (GDPR). In order to comply with this order, we’re required to verify and confirm your intent to receive our weekly newsletter and the special offers and discounts we occasionally mail out. You can find more information about this in the privacy notice. 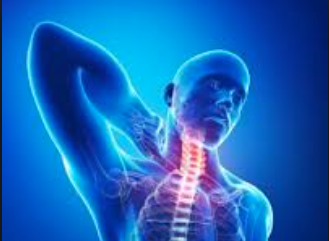 Next Next post: Are you struggling with a shoulder injury ?